The design of the GMC Canyon is definitely its greatest sell point. It’s a good-looking pickup truck that adds in some usefulness and capability. 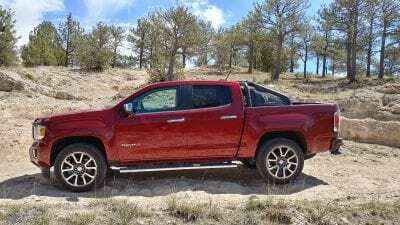 Touted as a midsize premium pickup truck, the GMC Canyon isn’t much smaller than its full-sized compadres in the GMC lineup, but it carries a lot of appeal. In the Denali trim, it gets the upscale treatment that name is known for. The Canyon was introduced a few years ago and has slowly gained market share since. Primarily competing against long-time small/midsize trucks like the Toyota Tacoma and Nissan Frontier, the GMC Canyon is larger and more generally capable than those two rivals. For the 2018 model year, the Canyon sees a handful of small updates, including the addition of a trailering backup system that adds ball hitch guidelines to the rearview camera, making it easier to line up to a trailer’s receiver. 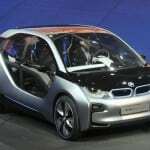 A larger 7-inch infotainment touchscreen has been added as standard equipment as well. 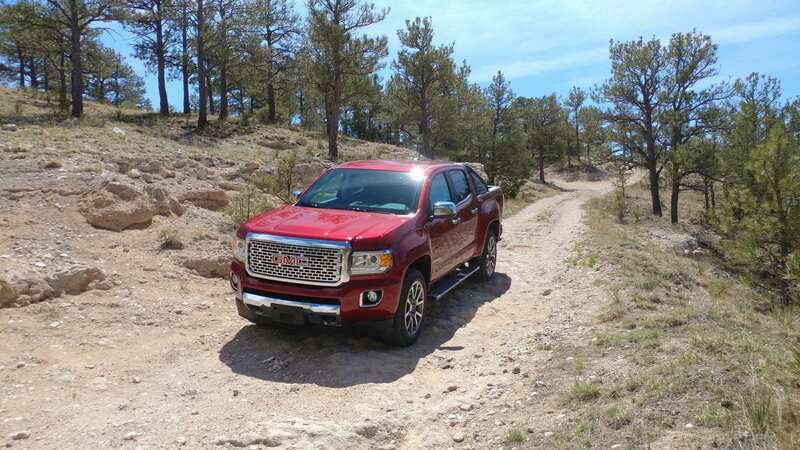 Otherwise, the 2018 GMC Canyon is offered with a four- or six-cylinder gasoline engine or four-cylinder diesel. Rear-wheel drive is standard and four-wheel drive is optional on the Canyon and cab configurations include extended cab and crew cab body styles with short or standard bed lengths. 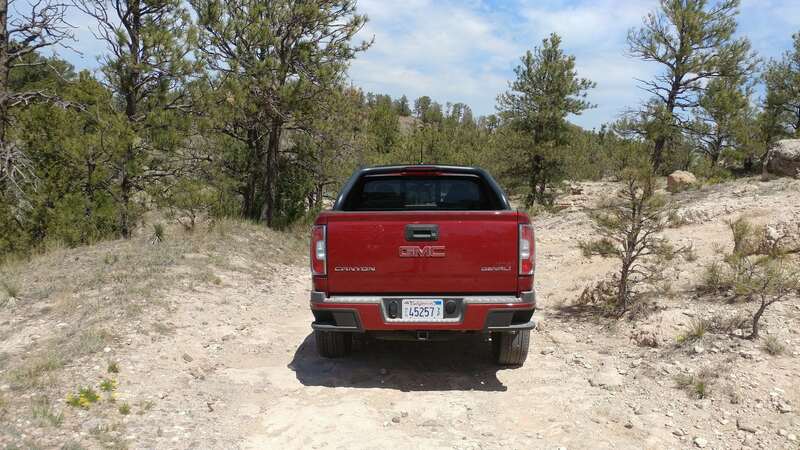 The base trim Canyon SL has standard features commensurate with the Chevrolet Colorado pickup truck’s low-midpoint trim. The base Canyon, SLE, and SLT trims build on that while the Denali tops the package options for the Canyon. Although our review here is focused mainly on the 2018 GMC Canyon in its Denali trim, each trim level brings something to the Canyon, so we’ll outline them here. SL – The base model for the Canyon, the SL is mainly aimed towards commercial and fleet buyers. Offered only in an extended cab with no rear seating, the SL includes the standard 2.5-liter four-cylinder engine, a six-speed manual transmission, 16-inch steel wheels, air-conditioning, four-way power driver’s seat, power windows, a rearview camera, 7-inch touchscreen, Bluetooth, a USB plug, and a six-speaker sound system. base – The consumer’s base model for the pickup, the base Canyon is available in both extended and crew cab configurations. It replaces the SL’s manual with a six-speed automatic transmission and adds fold-up rear jump seats to the extended cab. 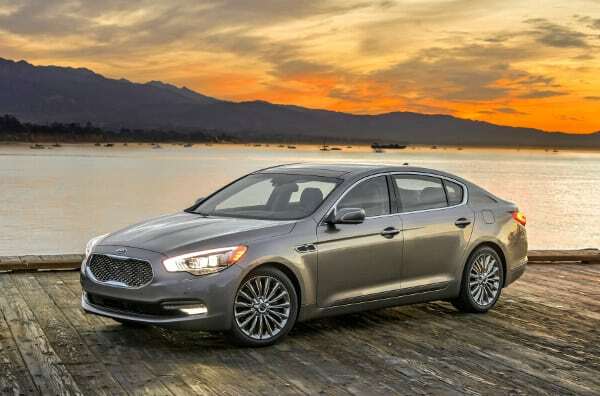 Optional upgrades include the 3.6-liter V6 and eight-speed automatic transmission. Options packages for the base Canyon can add remote/keyless entry/ignition, cruise control, an easy-lift tailgate, and a trailering package. SLE – Most of the base Canyon’s upgrade options are standard in the SLE trim. 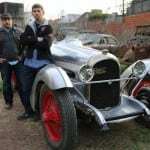 The wheels become 17-inch alloys as well. 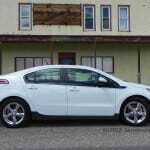 Upgraded trim materials are augmented in the SLE with power side mirrors, an auto-dimming rearview mirror, and a tilt-and-telescoping steering wheel. The touchscreen grows to 8 inches and adds Apple CarPlay/Android Auto, OnStar connectivity (with optional WiFi hotspot), and three more USB ports. Optional upgrades include a self-explanatory All-Terrain package, and a Convenience package that adds automatic climate controls and a sliding rear window. Also optional is a Driver Alert package that adds forward collision warning and lane departure warning. The four-cylinder diesel engine and stereo upgrades are also available for the SLE. SLT – Packaging everything in the SLE plus its Convenience package, the SLT also makes the V6 engine standard, upgrades to 18-inch alloy wheels, gets leather upholstery, and more front seat power adjustments. The All-Terrain package remains optional, as does the Driver Alert package and the diesel engine. 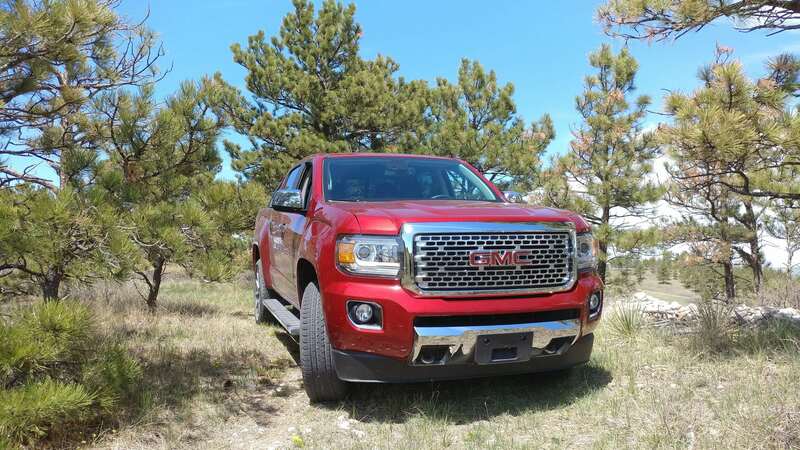 Denali – With all of the SLT’s equipment plus the Driver Alert package, the Denali is the top trim for the Canyon. This trim also adds navigation, premium Bose audio, 20-inch chromed wheels, cargo lamps, a spray-in bed liner, heated and ventilated front seating, wireless phone charging, and a heated steering wheel. The All-Terrain package and diesel engine are still optional. The 2018 GMC Canyon Denali is a good-looking pickup that eschews most of the “big and tough” appearance of many full-sized trucks. Instead, it aims for a slightly sportier look without getting over-bold or too retro. 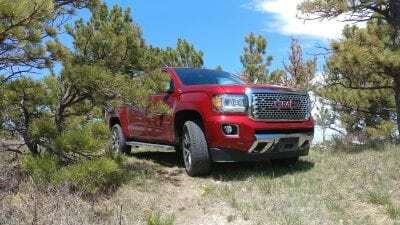 The 2018 Canyon builds on the square-on-square design elements of the GMC pickup truck line, but narrows the greenhouse and sweeps the roofline for a more sporty appearance. The shorter bed lengths of the midsize Canyon make it appear more 50/50 with the cabin in terms of length, which extends the wheelbase’s appearance as well. All adding more sport to the Canyon’s look. Inside, the 2018 Canyon Denali is very nicely done. It’s not as luxurious as, say, a luxury crossover-SUV, but it’s definitely up there when it comes to pickups. The driver’s controls, basic interior interface and ergonomics, and seating are all well-done in the Canyon. The driver and front passenger are treated to an appealing interior and comfortable experience in the Denali. In the back, though, things get a little less perfect. The entry and exit from the narrower rear doors (even on the crew cab) that don’t swing to 90-degrees and the somewhat flat, less comfortable bench are downers. Because of the Canyon’s size, or despite it, seating three across on the rear bench is tight. Even for kids. We do like that GMC thought to add the extra USB ports to the rear seats in the Denali trim, giving two plug-ins in the back to augment the two up front. Storage in the 2018 Canyon is also good, compared to other small and midsize trucks on the market. Technology in the Denali trim is also very good. GMC’s infotainment is based on Chevrolet’s system, which is about as good as it can get in today’s marketplace. The Canyon Denali is powered by a 3.6-liter V6 that outputs 308 horsepower and 275 pound-feet of torque. 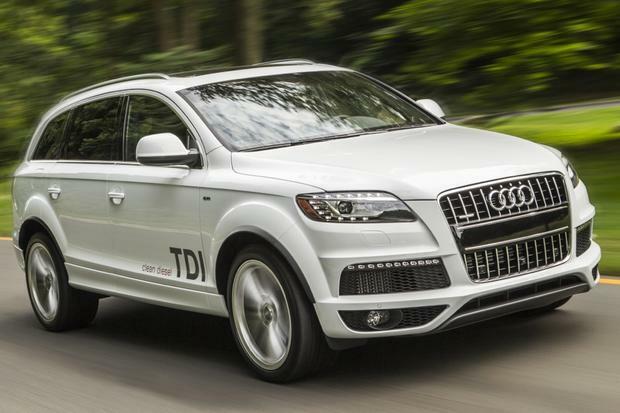 An optional four-cylinder diesel engine is also available. We drove the V6 in four-wheel drive and were impressed. The get-up in the Canyon with this V6 is very good with a lot of umph for the truck’s size. 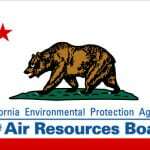 Fuel economy is fair at a rated 18 mpg in the city and 25 mpg on the highway in rear-wheel drive and about two points lower for four-wheel drive. 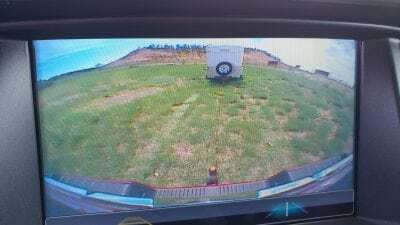 We averaged 21 mpg in a week’s worth of driving that included about 5 percent of the total mileage doing some off-road and towing. On the highway, the Canyon Denali is surprisingly quiet for a pickup truck, which is the high point of the Denali trim’s luxury. Road absorption and highway feel are excellent. Around town, the Canyon is maneuverable and easy to predict thanks to sharp edges and good mirror visibility. Towing with the Canyon Denali is also pretty good for the truck’s size. Rated at up to 7,700 pounds, we pulled a small trailer weighing about 2,600 pounds. 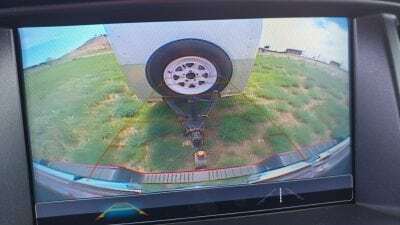 Backing to and getting under the trailer was easy thanks to the new ball guidance system and the Canyon did well with sway control and pulling in most situations. 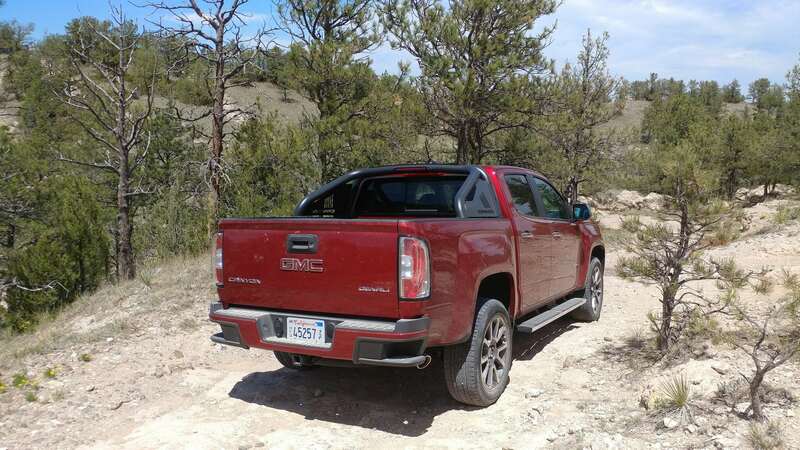 Off the pavement, the Canyon Denali 4×4 is decent enough at moderate off-road duties. The truck isn’t a rock climber or competitive desert runner, but it will get you there if the track is reasonable enough for traversal. 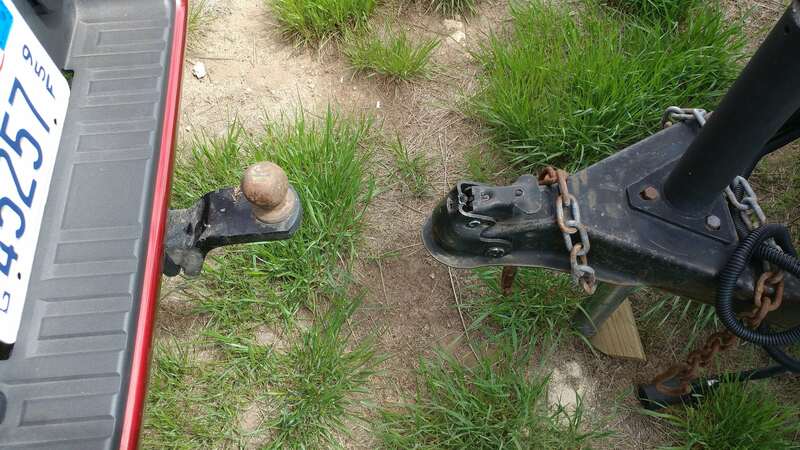 Those wanting a seriously off-road-ready pickup should probably look elsewhere, though. 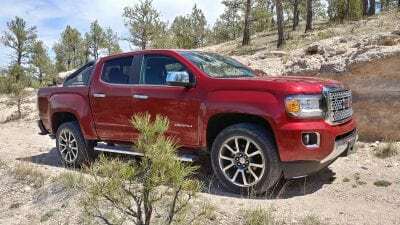 Key competitors for the 2018 GMC Canyon are the Toyota Tacoma, Nissan Frontier, and the Chevrolet Colorado. The Canyon, especially in its Denali trim, is far more luxurious than any of these options. 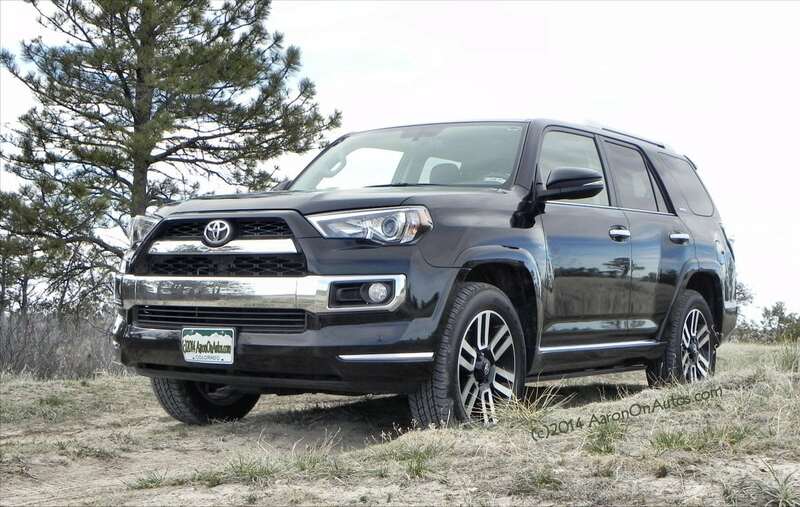 Toyota Tacoma – as the sales leader in the small/midsize truck category, the Tacoma is offered in several flavors from extremely basic to very off-road capable. The Canyon is, by comparison, more pickup truck than the Toyota, with better capabilities in towing, hauling, and comfort. Nissan Frontier – another strong seller in the segment, the Frontier is very oudated compared to the others, but continues to be popular thanks to its all-around excellence. Nowhere near as luxurious as the Canyon, the Frontier nevertheless checks all of the robust and ready pickup truck boxes. Chevrolet Colorado – a near-twin to the Canyon, the Colorado offers a lower price point and less luxury for the same overall design and capability. We’d consider this against the Canyon if the upper-crust Denali trim is not your style. Great look for a pickup with the Canyon’s mix of sportiness and robust readiness. Nice engine options to fit several needs. Roomy crew cab when compared to any other midsize or smaller truck. Nearly full-sized, making it harder to maneuver and park. Negligible off-road capability compared to others on the market. Pricey Denali trim not as luxurious as some SUVs. 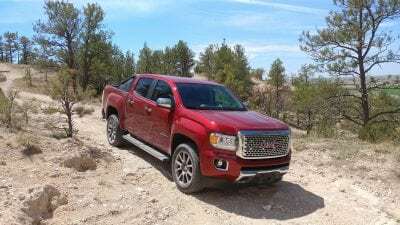 The 2018 GMC Canyon Denali offers a lot of goodness not found elsewhere in the midsize pickup truck market. As the only premium option in the segment, the Canyon offers good capability to go with its luxury fitment. It’s an enjoyable, useful, and comfortable pickup truck option. The Canyon Denali was a manufacturer’s press loan for about a week. 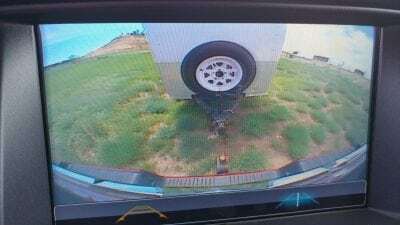 During that time, a total of about 250 miles were put on the truck in a mix of around-town and highway driving. Varied passenger loads as well as short stints of off-pavement and towing were also included.